Forty-eight years ago today (Feb. 22, 1968), Johnny Cash was one happy man. It was on that date that the Man in Black proposed to his then-girlfriend, June Carter, while they were performing together on stage in London, Ontario, Canada. Cash and Carter first met backstage at the Grand Ole Opry in 1956, when Carter was singing background vocals for Elvis Presley. At the time, Cash was married to his first wife, Vivian Liberto, but after having four daughters together, Liberto divorced Cash, citing his ongoing addiction issues and alleged affairs as the reasons for the split. 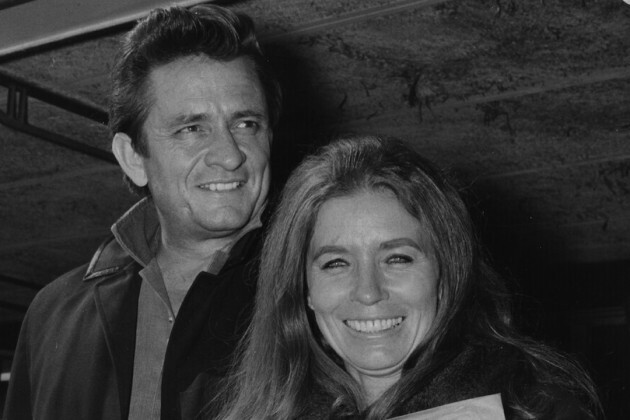 Cash and Liberto’s divorce was official by the end of 1967, paving the way for Cash to marry Carter; however, Liberto, who passed away in 2005, wrote in her autobiography, I Walk the Line: My Life With Johnny, that the divorce was a “degrading, horrible experience,” and she blamed Cash’s new wife for the split. Nonetheless, Cash wed Carter less than two weeks after proposing, on March 1, 1968. They had one child together, John Carter Cash, who was born in 1970. The couple performed frequently together and released several albums together, including Carryin’ on With Johnny Cash and June Carter, Johnny & June and June Carter and Johnny Cash: Duets. “The love that John and I share with our love for Christ is one of the most precious gifts God could have given us,” June Carter said of her husband. Known for his poignant love letters, Cash penned one to his wife in 1994, for her 65th birthday, that was named the greatest love letter of all time in 2015. June Carter-Cash passed away on May 15, 2003. Cash died less than four months later, on Sept. 12.